Please Email Us for a current list or call 718-621-5344 for an immediate responce. V.I.S. Imaging, Ltd. specializes in buying and selling Pre-owned nuclear gamma camera systems. We offer completely refurbished nuclear gamma cameras, single and dual head, that will fit your needs and your budget. Contact us today and let V.I.S. 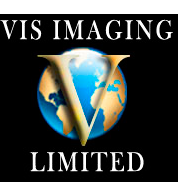 Imaging, Ltd. be the company that makes your transaction go smoothly. V.I.S. Imaging, Ltd. specializes in buying used and Pre-owned nuclear gamma camera's. Contact us today and let us know what you have. We will let you know the value of the system. When we make an offer we always pay in full before removal and always pay all removal costs. If your system is too old to have a value we will either remove the system at no cost to you or in worst cases we can get you a quote to remove the system. All our de-installers are fully licensed and insured.